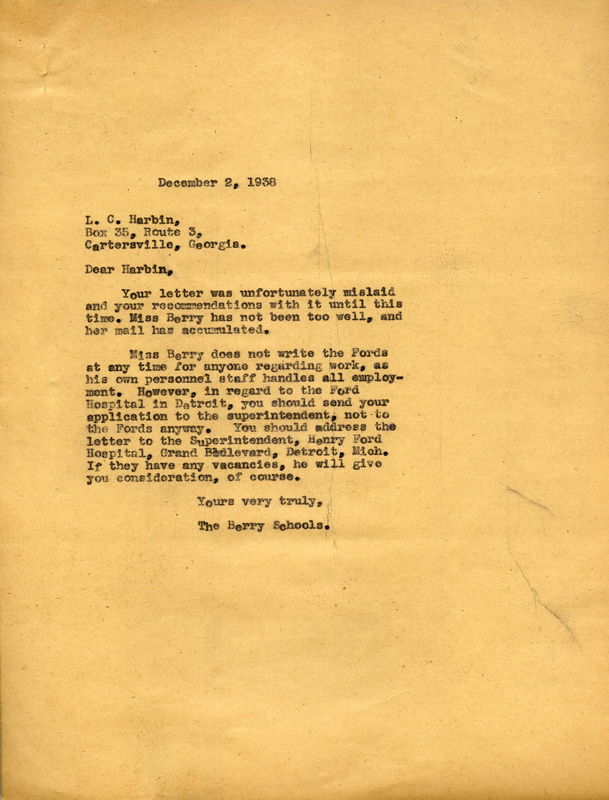 A letter informing Mr. Harbin to send his job application to the superintendent of Ford hospital for a job, not the Fords themselves or Martha Berry. The Berry Schools, “Letter to L.C. Harbin From The Berry Schools.” Martha Berry Digital Archive. Eds. Schlitz, Stephanie A., Savannah Harris, Jessica Hornbuckle, et al. Mount Berry: Berry College, 2016. accessed April 21, 2019, https://mbda.berry.edu/items/show/14385.